Today our host is the Order of Engineers and Architects in Beirut. 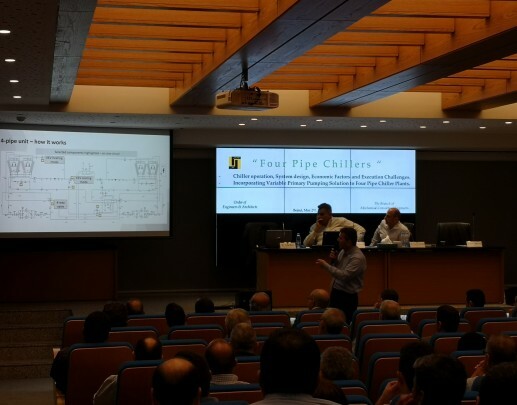 Luigi Basso (Blue Box) and Gabriel Majdalani (Majdalani Engineering and Trading) are speaking about Four Pipe Units: Chiller operation, System design, Economic Factors and Execution challenges. Incorporating Variable Primary Pumping Solution to Four Pipe Chiller Plants. An audience of professionals is eager to hear about this innovative, energy and cost saving solution.